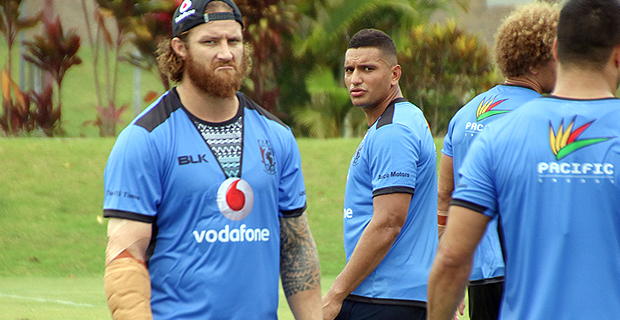 Vodafone Fiji Bati forward Korbin Sims has been ruled out of the 2017 Rugby League World Cup after his medical examination yesterday. The Brisbane Broncos medical staff advised Fiji Bati coach Mick Potter yesterday that Korbin will not be able to run out in full fitness. Speaking from Townsville, Bati Media Manager Petero Civoniceva says this is a huge loss to the team but it has opened a door to the younger players in the team. Korbin’s replacement will be announced soon by the coach. Civoniceva says the forwards will have to work hard. The Bati arrived in Townsville this morning and received a huge reception from the Fijian community along with a traditional welcome ceremony. They will take on USA at 9.40pm Saturday in their first World Cup match. Meanwhile Australia will take on England at 9pm tomorrow in the first game.